Join New York chapter friends and colleagues for a fun and relaxing Happy Hour at Sala One Nine! 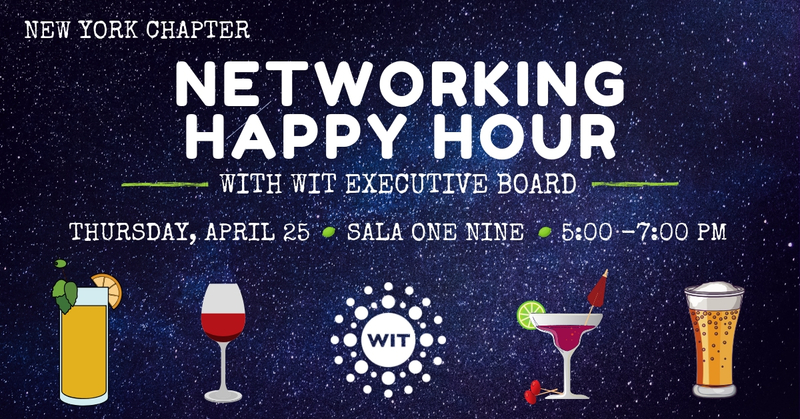 Mix and mingle with WIT Executive Board — Ashley Mady, Janice Ross, Alita Friedman and Mary Kay Russell, and learn what's new with WIT. Ticket price includes your first drink with choice of beer, wine or sangria, plus paella, appetizers and dessert. Sponsored in part by New York Chapter Sponsor Yottoy Productions, Inc.